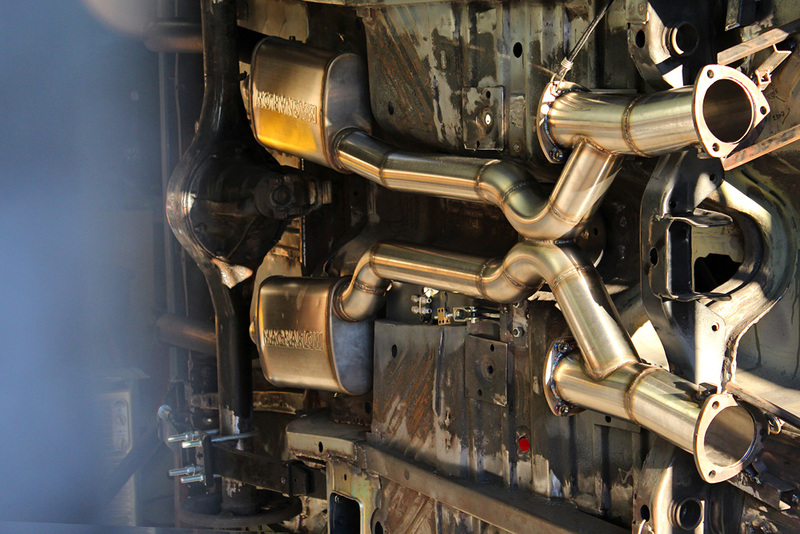 Final fit up of the complete exhaust. With all the mounts in place it is very sturdy, and has almost no movement when you yank on it. 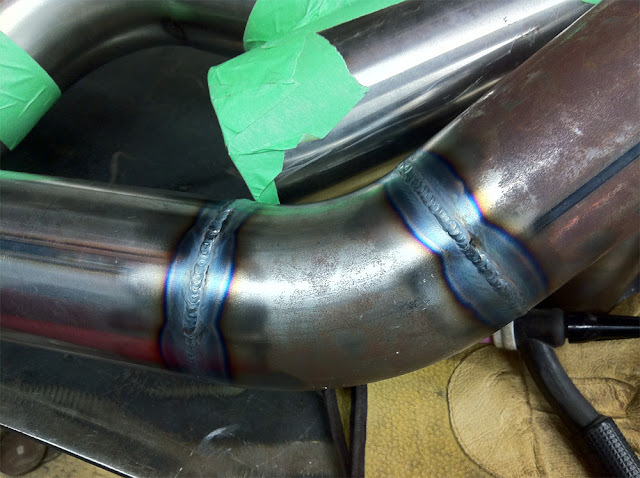 Welded stainless nuts onto the dump pipe flanges, for ease of removing and installing the caps. 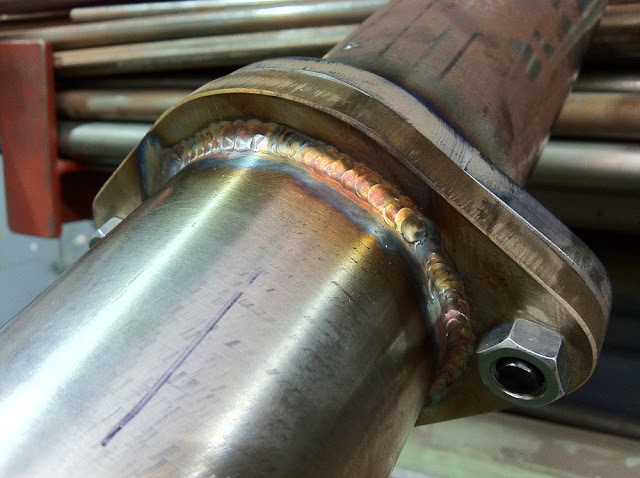 I love the golden colour stainless goes when welded. 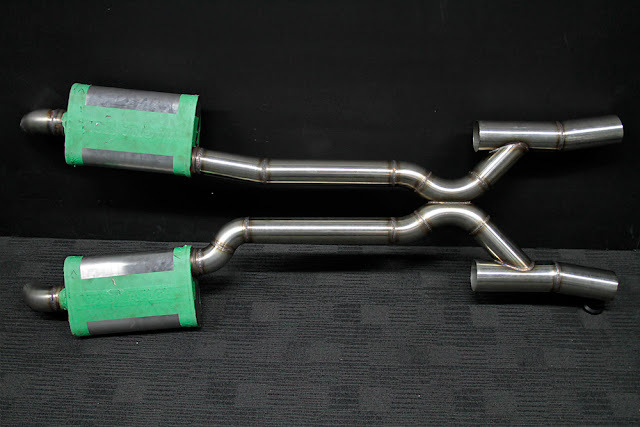 I'll be fabricating thin stainless sheet metal guides onto the caps that smoothly divert the exhaust flow from the 3.5" pipes into the 3" x-pipe. The whole thing is pretty much invisible when the car is the right way up. Now I should be able to run the car nice and low! 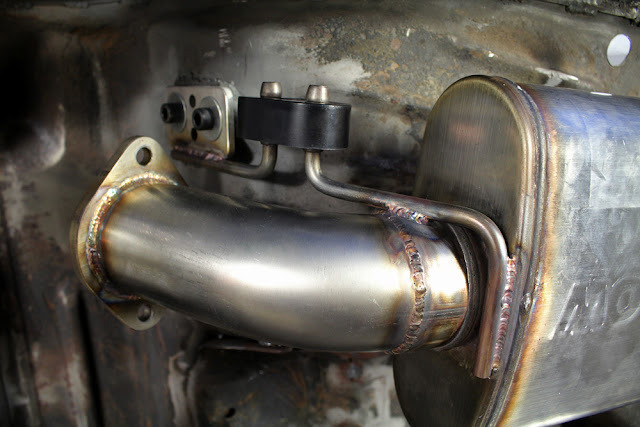 Exhaust is pretty much done, at least for now. 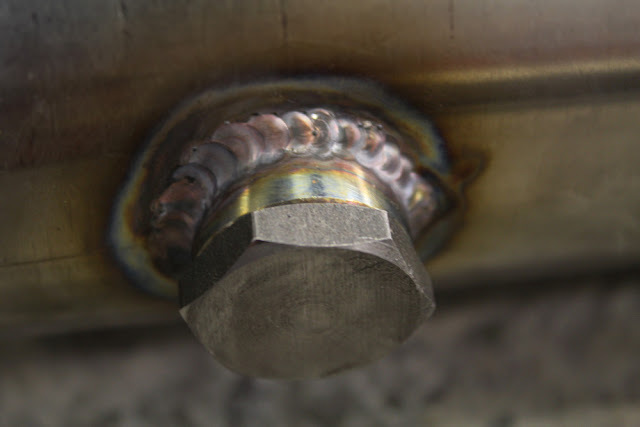 The flange at the header end will be welded on once the engine is in the car. 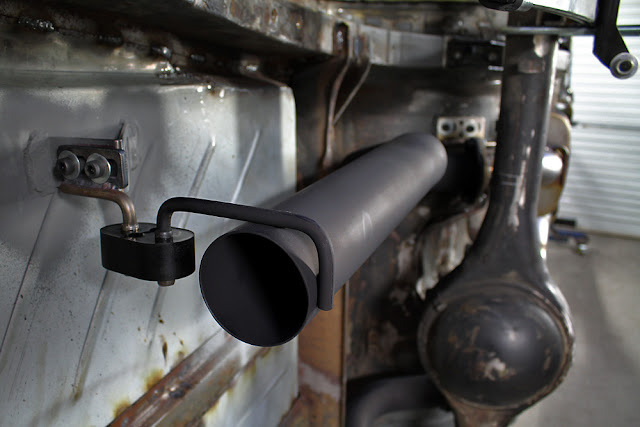 I added some stainless bungs for O2 sensors to help with tuning. There are 4 mounts to the body, with 10mm stainless hangers and polyurethane isolators. I braced the floor with plates welded to the body and welded 10mm nuts to the other side to make mounting and adjusting the exhaust easy. The stainless plate on the hanger has a bunch of adjustment possible. 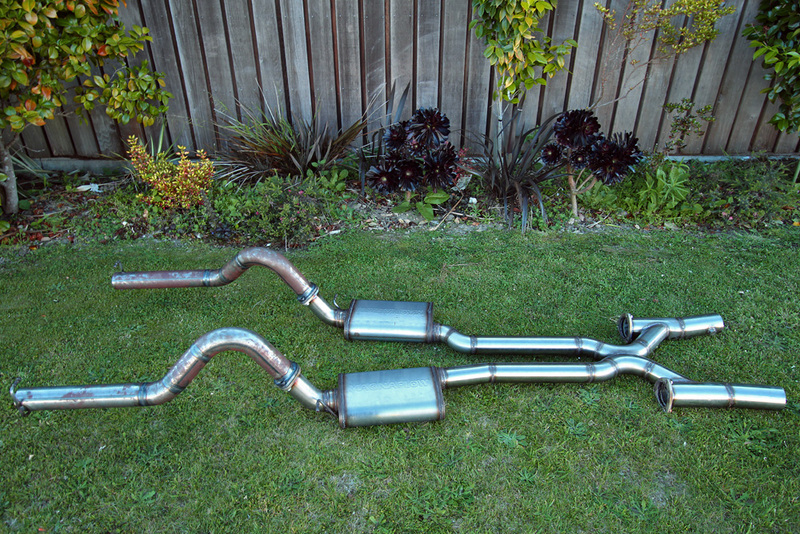 The rubbers are pretty solid, you don't get much movement yanking on the exhaust, so should be good to go. This is one of the brackets for the rear mounts near the end of the exhaust. 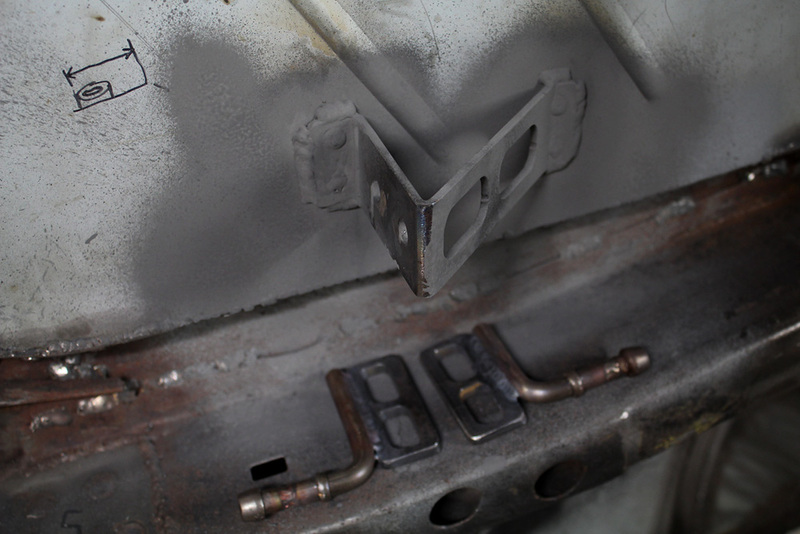 Again there's captive nuts welded on and hanger brackets with adjustment. 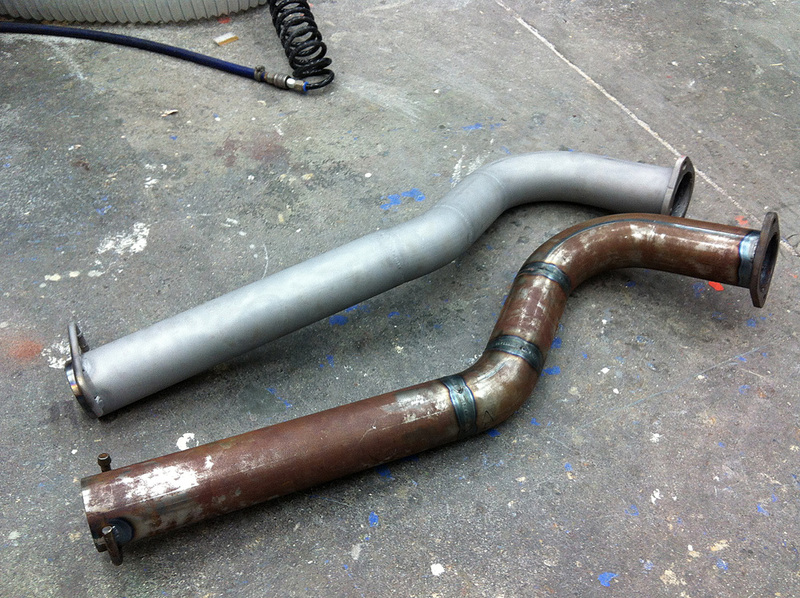 The mild steel tail pipes got sandblasted and will be sprayed with black high-temp paint. Finally got a chance to edit some footage I shot from a road trip back in 2010. Music: 'Oh Fair Moonlight' by Fly My Pretties. 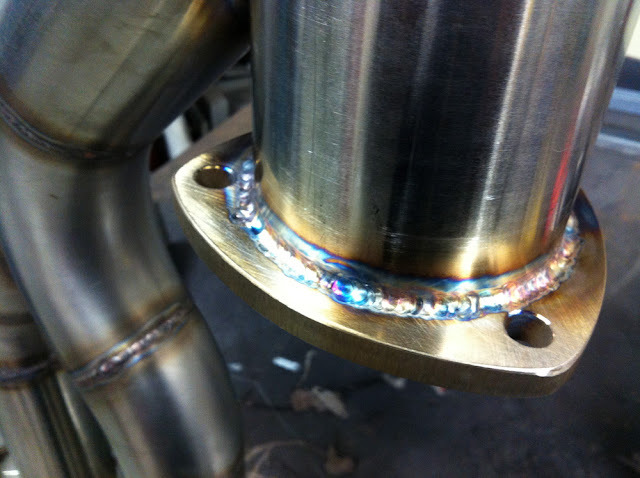 Welded on the water-jet cut stainless flanges. The colours came out prettily. 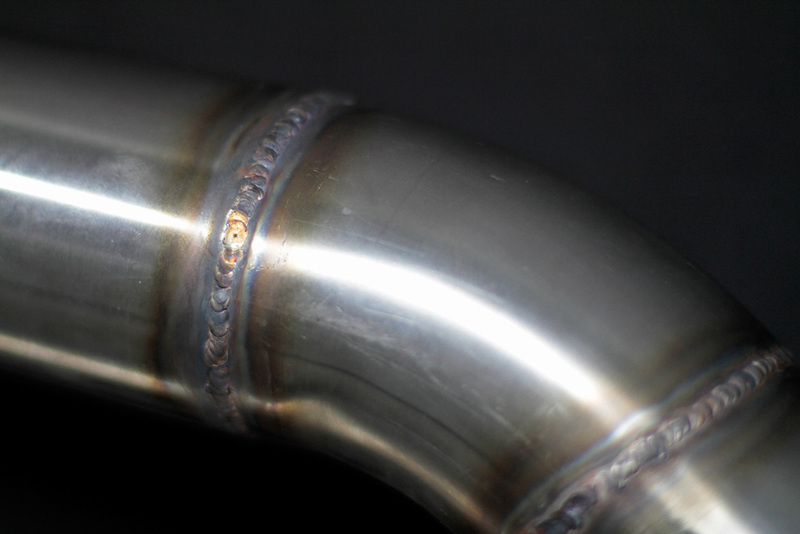 TIG welded the tube work of the exhaust. 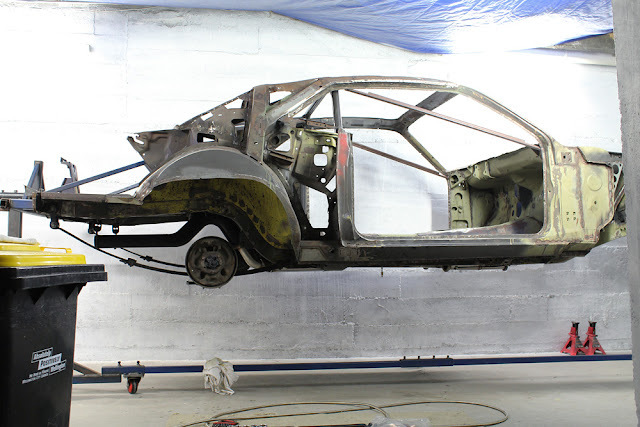 I love stainless... leave it bare and it won't rust! And welds will stay colourfull. 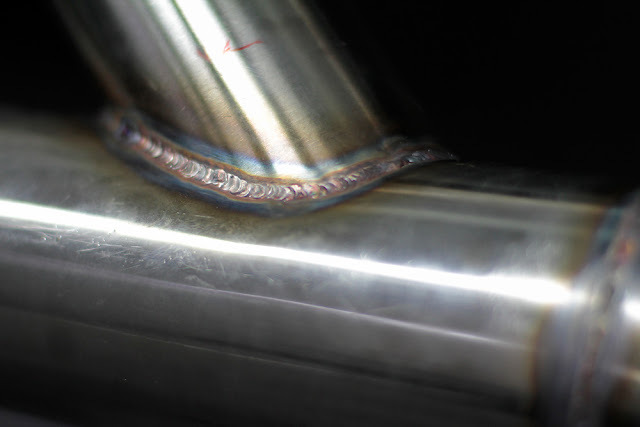 I used Solar Flux type B to shield the inside of the weld. Mild steel, and it's rusty already! The last section of the exhaust (the pipes over the diff to the rear of the car) is mild steel. 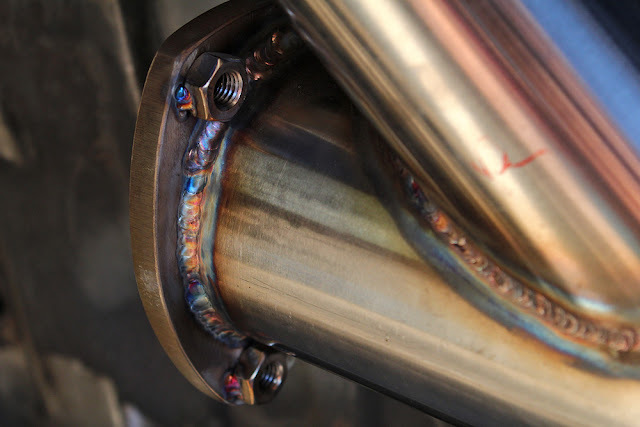 Stainless can sound a bit 'tinny' apparently, and I want a more mellow/deep sound. I save a bit of money too. These will be sandblasted and painted in high temp black paint, then the bends will be wrapped with thermal wrap where they pass by the shocks and gas tank (mainly 'cause I have some unused wrap, and because it'll look cool).